Minneapolis, Minnesota, Sunday, August 09th, 2015, @ 22:30 hrs. 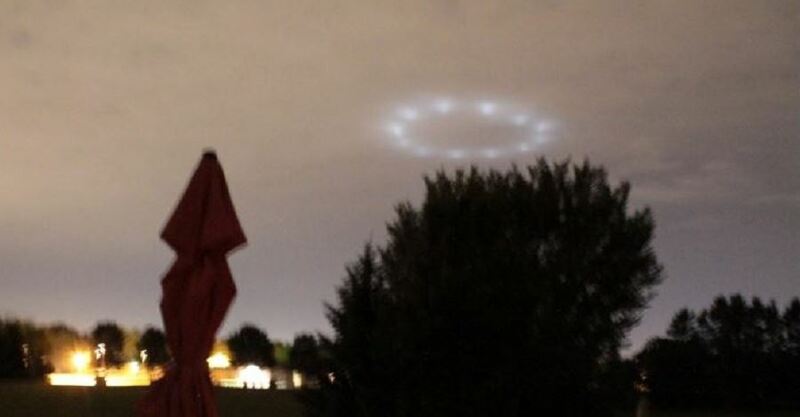 (Central) — Multiple witnesses observe a peculiar ring of lights, which hovered in the nighttime sky for up to an hour. 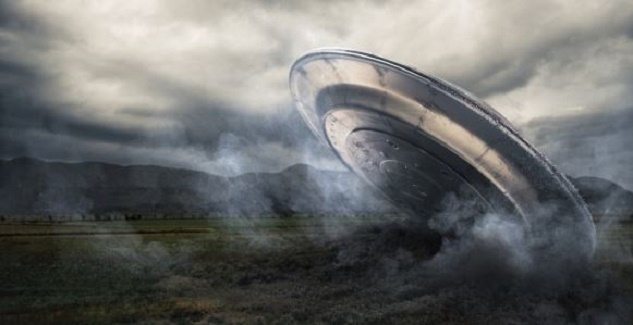 At least one witness reports that the lights were visible for up to an hour. We wonder whether the formation might have been advertising lights, but some witnesses reported that some of the lights disappeared before the rest of them did, which seems to us to militate against their being part of an advertising display. We would like to invite anyone who witnessed the formation of lights, or anyone who knows what the cause of them was, to submit a report, using our Online Report Form. A circle of 12 white lights, not moving. 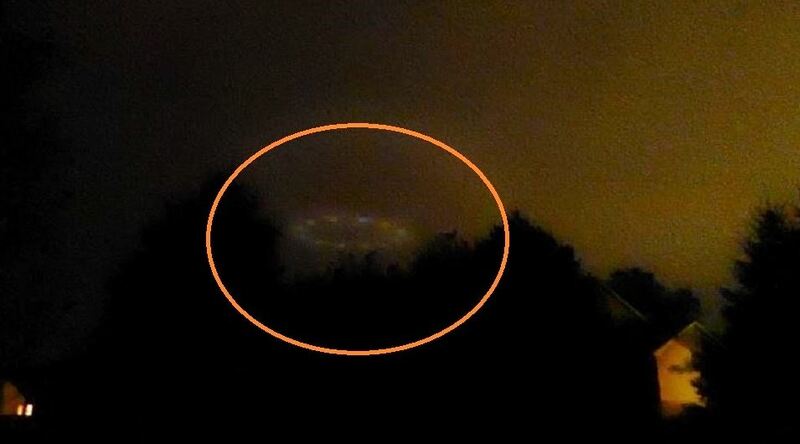 The sighting was of a circle of 12 white lights, which were stationary in the sky. They would occasionally fade and then come back bright again. We watched for about an hour before they completely faded, no idea how long they had been there before we spotted them. A second smaller circle of lights could be seen under the first one as it faded. We have some good photos. Three other people, a mile from our house, also saw the same thing after we asked them to look. An oval of lights in the distance moved to another part in the sky in a blink almost. My brother walks to his job at the hospital in Edina. It was around 11:30 when he called and told me to look outside. To the southwest, I saw this very wide oval of soft lights in the distance. It stayed there for until it faded for a second and reappeared just a few feet to the right. (Distance of a foot compared to the sky.) It faded again. I dont know what the …. I saw and I called everyone I could close to me but they live at least 30 minutes away from me, so I don’t think the viewing was correct for them. My brother saw it and so did I. Freaking out right now. I don’t know what to thing about this. Circular object with bright lights seen in suburban Chanhassen, MN. Perfect circular shape. Bright lights above the thick clouds. Appeared and remained stationary for a few mins (about 10 mins). Then disappeared when an aircraft approached. We live in a very quiet neighborhood. No lights were beamed from below. It wasn’t flying in the air like a kite with lights. Circle of white lights, not moving, not high in the western night sky. This was a very large circle of lights, all white and in equal size. There were approximately 8-10 lights, spaced very evenly apart. The circle appeared to be over interstate 35. This was in the western sky. It wasn’t that high in the sky, the lights were not bright, but soft as I believe there was a slight cloud cover. The circle was not moving. Circle of lights in the Savage sky. There was a circle of 13 individual lights, stationary. In watching them, the upper left quadrant faded, then eventually came back. During that time the right lower quadrant faded, then the lower half faded. All lights then came back with slower start to fade individually. After 20 min, all but 3 lights on the left side remained, then a group of three in a different formation came back. It looks like it reformed but my view is blocked by large trees. As it is humid and cloud covered tonight, it was easy to see the lights weren’t coming from the ground, pointing upward. There was no light trail and we live in an area that doesn’t have dealership lights, sales lights, etc. During this time, both pets were feverishly running to the windows and one staring at the lights. After that last group faded, they finally laid back down. All pictures I took ended up completely white. All video was black.